Where can I buy Essential brand products or other brands you distribute? See stockists to find out if we supply a shop local to you. Or click here to find out more about becoming a customer. I'm outside of the UK, can I buy from Essential? Yes, we deliver worldwide. Contact our Export/Haulier team for further information or a minimum order quote, let us know as much as possible about your needs and we will respond with a plan of action to get products to you. I'm not a business, can I still buy from Essential? We can advise you on setting up a Co-operative Buying Group or joining an existing one. Click here to read more about it! We are able to offer substantial discounts on bulk purchases of any commodity. We also offer a sliding discount scale based on order value. Please ask our sales team for a quotation. Also see our latest promos for current promotional offers. How do I open an Essential trade account? You can apply for a trade account by filling in the online registration form. I'm already an Essential customer how do I get a login for online ordering? When is my deadline to place an order? 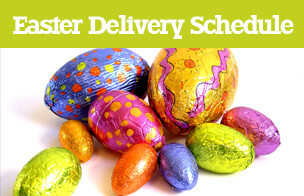 To take advantage of our Priority Service please place your order before 5.00pm, 2 working days before your delivery day. This means your order is picked early on the day before delivery and we contact you with any out of stock items and offer suitable substitutes. Our buying and retail packing sectors check stock levels in the afternoon, and any items that have just arrived into our warehouse or have been packaged during the day will be added to your order. For our Standard service we are happy to take your order before 11am the working day before the delivery, but we are unable to offer the advantages of the priority service. We are no longer able to take extras after 11am on the working day before delivery. Our Customer Services team are happy to answer any questions that you have about stock levels. If you require large quantities of a single item please give 1-2 weeks notice to ensure we can fulfil your order. You can reach customer services on 0117 9430 800. Can I only buy whole cases? Many of the products that we sell are available in split cases. Cases that we split are indicated by using an asterisk '*' instead of an 'x' sign by the case size. For example, 12 * 300g is splittable and 12 x 300g is unsplittable. The ways in which we split cases are limited to halves, quarters and in rare cases thirds and occasional fifths, depending on the case size. There are some products that are packed in numbers which limit how the case can be split, for example, something packed in a case of fourteen can only be split in half. Yes! We have a good selection of alcoholic beverages. They are all organic and vegan. We are however unable to export alcoholic beverages out of the UK due to licensing laws. How can I get an Essential catalogue? You can now browse and order from the Essential catalogue online. Or you can request a paper catalogue by contacting our Customer Care. Do you have electronic pricelists? We have price list available as excel spreadsheets, PDFs and zipped files. You can find them under Downloads when you are logged in. We also have useful documents like blank ordering sheets and information on current promotions and offers that can be sent electronically. Log in to access the downloads area. All prices in our paper catalogue are correct at the time of going to print and are subject to market change without notice. Prices in the online catalogue are updated daily. The Excel pricelist available to download (once you have logged in) is updated weekly on a Friday. Our sales team can advise on latest pricing and stock levels. When do promotional offers begin and end? The promotional offers are published 6 times a year: Jan-Feb, Mar-Apr etc. Any promotional offers will become active on the 1st day of the start of the current printed pricelist. 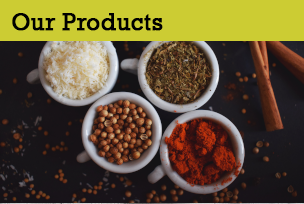 For instance a product on offer during the May-June pricelist will be available from the 1st of May and will end on the 30th of June (unless the promotion is while promo stock lasts). If you place an order before the end of April, then you will not receive the May-June promotions, even if the delivery is in May or June. However if you place an orders before the end of June , you will receive the promotions, even if the delivery is after the end of June. See on-line catalogue for current promotional offers. What is an Order Pad? Order Pads are permanent product lists useful for online ordering. They are ideal if you need to separate your order for different departments or people, e.g. Order Pad 001 could be for Essential Brand, Order Pad 002 for Ingredients, and Order Pad 003 for Julie. They will appear in separate sections on your invoice thus facilitating the admin process at your end. As a wholesaler all our catalogue prices exclude VAT. VAT rates are V=20% M=7.8% F=5% and Z=0%. To help our Retail customers RSP prices are inclusive of VAT where applicable. We prefer to deliver in person and cover many areas of the UK so that you get to meet our members of staff and build a more personal relationship. We like to think that there is nowhere that we can't deliver to. If we can't get there with our own vehicles then we employ parcel couriers and haulage companies to make deliveries on our behalf. We have set minimum orders based on geographic areas. Minimum orders do not include VAT, but out of stocks lines do not count against the value either. If you are struggling to reach the order minimum we will try and offer other solutions, such as quotes on delivery via an independent courier or haulier company. Please click here to view our minimum order values in England and Wales. We offer a collection service whereby you place your order with us and within approximately two hours it will be ready to collect from our reception area at the front of the warehouse. The last order time for same day collection is 2.30pm. Orders placed after this time will be ready for collection the following working day from 10am. The minimum order value for collection is £40.00 for trade customers and £300 for buying groups. Please place your order online using your customer log in details, by e-mail, fax or telephone our sales team. See claims info for terms and advice on returning goods and claiming credit. Or contact us at: claims@essential-trading.coop, or by phone: 0117 9430805. Do you deliver to festivals? Yes we have many years experience of delivering to festival traders on sites across the UK. See Festival services for more information. Our standard payment terms, for orders delivered by Essential, are that payment becomes due once you have received your delivery. However, we allow a grace period of up to 7 days, to enable you to arrange a BACS payment or to post a cheque. Orders that are sent by haulier or overseas should be paid before dispatch. If you wish to apply for credit terms, please contact customer accounts. If you would like to talk to us about payment terms, please contact Customer Accounts 0845 458 1460 or 0117 9430811 or email accounts@essential-trading.coop. Please give a cheque to the Essential delivery driver, where possible. We are unable to accept cash payments on delivery, unless it’s in Bristol pounds. You can also pay by debit or credit card, by bacs, online banking or by Direct debit. If you would like more information about these methods of payment please contact Customer Accounts on 0845 458 1460 or 0117 9430811 or email accounts@essential-trading.coop. Can I pay with a credit card? Is there an additional charge? We accept payment by most debit and credit cards. We do not currently impose any additional charges for card payments. We do not accept payment by American Express. Can you retain my card details? Yes, we can securely retain your credit or debit card details, using an online SagePay service. Please call Customer Accounts if you would like us to automatically take your payments, using your securely retained card details. If you need any information about your Essential account, please call us on 0845 458 1460 or 0117 9430811 or email accounts@essential-trading.coop. Do you accept Bristol Pounds? Yes, we are happy to receive payment in Bristol Pounds. You can pay in cash, via BACS or SMS. Please contact Customer Accounts for our Bristol Pound account details. The original invoice will come with your delivery. If you would like us to also routinely email a copy of each invoice to you, please let us know by calling Customer Accounts on 0845 458 1460 or 0117 9430811 or email accounts@essential-trading.coop. How will I receive my accounts information? We are striving to minimise the amount of paper we use, so we automatically send statements, credit notes and other accounts information by email. If you would prefer to receive these in the post, please contact Customer Accounts to let us know. How do I request a copy of an invoice or credit note? If you need a copy document please phone us on 0845 458 1460 or 0117 9430 811 or send an email to accounts@essential-trading.coop. How can I get a copy of your Organic certification? It can be downloaded from Useful documents. What does UK2 stand for? UK2 is the old certification number used by Organic Farmers & Growers who are Essential Trading main organic certification body, Soil Association was UK5. See further info on next question. How can I tell if the Essential brand products are Organically Certified? Since the EU certification Law changed in 2012, all organic certified products are required to use the EU organic logo. With this logo the new certification numbers came into effect, so Organic Farmers and Growers is GB-ORG-02, Soil Association is GB-ORG-05 and Demeter products (The Biodynamic Association - BDA) is GB-ORG-06. What is your GM policy? All our suppliers are required to sign a contract to guarantee they are GM free and we have a strictly No GM policy on all our products. If you require more info contact our Quality Assurance officer Michael Schmidt: michael@essential-trading.coop. Why do some products have a vegan logo and others don't? Whilst all of our products are 100 % vegetarian, some do contain animal derivatives e.g. honey or milk. If unsure please speak to quality control as above before purchasing. Why do you use palm oil in some of your products? Essential uses palm fruit oil because it is a non- hydrogenated oil and also because it significantly helps the shelf life of our products. That said, we are constantly looking to reduce it by using other oils, which will also minimise the amount of saturated fat. We may however, still need to use a small amount to ensure that our products do not go rancid. See our statement for further information. Has the Essential Sauerkraut been pasteurised? The Essential Sauerkraut has been pasteurised at 90 degrees and the duration depends on the jar size. Pasteurisation prevents secondary fermentation, which could cause the jar to explode. Are there any additives in the Essential Coconut milk? The Essential Coconut Milk does not contain any preservatives or stabilisers. As it is certified organic, no other additives can be added at any stage of the process without authorisation & listing on the can. How can I be sure the product I am buying is gluten free? The "crossed wheat" logo of the coeliac society is a mark that guarantees the standard of these gluten-free foods. Find out more on this leaflet. Pricelists of Gluten free products that we stock can be downloaded once you have logged in. Do your cans contain BPA in the lining? You can find all the information about BPA in this document. Is the Essential-brand pre-packs' packaging recyclable? Our pre-packaged whole-foods are packed within heat sealed polypropylene bags (multi layered biaxially orientated polypropylene film laminated with a solvent free adhesive), this kind of polymer is recyclable (recycling number 5) but is not generally collected for household recycling by Local Authorities, although it has a good potential. We've been looking for compostable packaging for over 10 years but we are not happy with the solutions proposed in terms of suitability for food grade packaging, consistency with our GMO-free policy (gm potato starch) and in terms of warranty of product shelf life. We will continue in our quest to find new technologies that will meet our requirements, but in the meantime we believe that all of us (as consumers, businesses, taxpayers, and as citizens who care about future generations) should put pressure on Local Authorities to implement such recycling. Where can I find the Essential products' specifications? 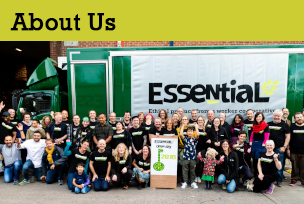 A downloadable document is available below the description and barcode of every product. .
As of December 2018, Essential Trading will have ceased to be registered with the Fair Trade Foundation. This will only affect the Essential FT mango, Essential FT dates, and Essential FT sugar, all of which will be replaced with organic equivalents. Whilst we will continue to trade with ethical values and principles at the forefront of business, we do not unfortunately have capacity to meet with Fairtrade regulations, which require us to obtain valid FLOCERT certificates from customers buying our products in bulk. New product codes for the three ingredients affected are to be found in the catalogue. We thank you for your understanding in this matter. I'm an Essential customer, how do I get my business on your Stockists page? Contact marketing@essential-trading.coop stating your business details, a 50 word description of your business and attaching a jpg image of your choice. I want to become a supplier for Essential, who do I contact? Please use this form to enquire about becoming a supplier. How do I set up a Co-operative Buying Group? See Buying Groups for information on what they are and what our requirements are for setting one up. What's your strategy on reducing plastic? We're deeply concerned by the scourge of plastic and we're taking as many steps as we can to reduce our use of it as a business. Unfortunately this is easier said than done in a supply chain that isn't set up for those changes (yet). As of March 2018, our catalogues will be wrapped in paper, not plastic. And our toilet paper wrapping is fully compostable. Our teabags are plastic-free, unlike some others on the market, as recently highlighted in the news. As for our food packaging, we've been looking for an alternative to the plastic-wrapping that our shelf packs of commodities currently come in, but so far we’ve not found a suitable alternative. We used to use cellophane, but as our business has grown, this is no longer a viable option. Cellophane is made of wood pulp, which is a lot more porous than plastic film. The shelf-life of the products contained within it is greatly reduced, which leads to lots more food-waste – another terrible factor in modern day food production and one we want to avoid. Also, the edges of cellophane packaging are still heat-sealed with plastic, which means that cellophane is not compostable. We also looked into cornstarch alternatives to plastic, but unfortunately the cornstarch used is genetically modified - a big no-no for us - and still uses plastic in its sealed edges. Interestingly, Riverford Organics worked with Exeter University to undertake research into packaging and found that starch-based plastics are actually worse for the environment than normal plastic. Also, recycling plastic becomes impossible when cornstarch plastic is added into the mix. We anticipate that there will be more innovation in the plastic-alternatives sector now that people are starting to pay attention to how terrible it is for the environment, and as soon as a viable alternative comes along, we will jump on it. In the meantime, the only real option we can see is campaigning in our communities to get local councils to recycle more types of plastic. Polypropylene (type 5 plastic) is the type that our packaging is made from. This type of plastic is more recyclable and less toxic than other types, and is therefore used for packaging food. Previously, our packages had paper labels on them, which rendered them unrecyclable because of the mixture of materials. So we’ve changed that. 19% of local authorities currently recycle type 5 plastic. So the technology is available, even if it’s not being used everywhere. We'll be looking into ways that we can put pressure on local councils to start recycling more types of plastic in the coming months. Please watch this space. We know that things can't continue in the same way and we are very much on the lookout for change.